There has been a lot of discussion about Twitter and political partisanship in India in recent weeks and we'd like to take this opportunity to set the record straight. In 2017, we asked our most passionate users what they love most about Twitter and what they shared was powerful. They said that Twitter lets them see what’s happening from every point of view, all perspectives, every side. This ability to see every side of a topic makes Twitter unlike any other service in the world -- and it’s something we work hard to cultivate and protect. Twitter is a platform where voices from across the spectrum can be seen and heard. We are committed to the principles of openness, transparency, and impartiality. Whether it’s trends, how we enforce our policies, or the content that appears in your timeline, we believe in impartiality and do not take any actions based upon political viewpoints. Our product and policies are never developed nor evolved on the basis of political ideology. We have made more than 70 product, policy, and operational changes since the beginning of 2018, all with the aim of making people feel safe expressing themselves on our service. Abuse and hateful conduct comes from accounts across the ideological spectrum and we will continue to take action when our rules are broken. To be clear, we do not review, prioritize, or enforce our policies on the basis of political ideology. Every Tweet and every account is treated impartially. We apply our policies fairly and judiciously for all. Mistakes can happen. However these mistakes or “false positive” decisions, are not political statements of intent; they are the basic human error rate of running the fastest, most open conversational tool in history. We have a specialized, global team that enforces the Twitter Rules with impartiality. Twitter India employees do not make enforcement decisions. This is by design to ensure fairness and objectivity. Our policies have evolved to protect our account holders and to make as clear as possible what behaviors are prohibited. We have one set of Rules which outline the behaviors we allow on Twitter, and decisions can be appealed by account holders at any time. The full process is detailed here. Trending topics is an area where we see regular speculation and charges leveled against us, often with no factual basis. Trends are topics that are popular right now, rather than topics that have been popular for a while or on a daily basis. Trends are not determined by the total number of Tweets on a topic alone -- the total number of Tweets is just one factor when ranking and determining trends. A very important factor in determining trends is the number of Tweets in a given time period (i.e. velocity), which is not necessarily related to the total number of Tweets (i.e. volume). When topics fall off the trending topic list, it’s because the volume and velocity has dissipated. Trending topics - at their core - are driven by impartial, purpose-built algorithms. Claims to the contrary are wrong. As our CEO and others have stated publicly, Twitter does not use political ideology to rank content on our service. When setting up a Twitter account, people decide which accounts they want to follow -- they are in control of the views they see and the content they are interested in. Our public verification process is currently closed. With the upcoming elections, we are working with Indian political parties to verify candidates, elected officials, and relevant party officials whose accounts will be active in the public conversation. To be clear, the parties themselves select the accounts for verification and then we review these accounts to ensure they meet our verification standards. We verify these accounts to empower healthy election conversations, and to provide confidence that these public figures are whom they claim to be. 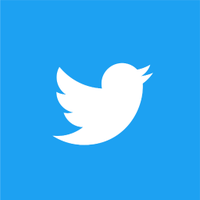 In July 2018 we announced that we would begin updating the follower counts of every account on Twitter to remove inactive accounts. Most people saw a change of four followers or fewer, while some people with larger follower counts experienced more significant drops. This was a global initiative and did not target any particular geography, political ideology or Twitter account. Our work to proactively identify and challenge problematic accounts globally is ongoing. To that end, follower counts may continue to change regularly however, this is not linked to political partisanship and the process does not target any individual user or geography. Our goal is to improve the trust that account holders have in follower metrics, and to ensure that spam accounts are removed from our service. Twitter’s real-time and open nature facilitates robust civic engagement on topics of national and local interest during elections. The public conversation around Twitter’s policies and actions may be distorted by some who have a political agenda and this may be particularly acute during election cycles when highly-charged political rhetoric becomes more common. For our part, we will endeavor to be even more transparent in how we develop and enforce our policies to dispel conspiracy theories and mistrust. India is the world’s largest democracy, and one of our largest and fastest-growing audience markets globally. We are committed to surfacing all sides of the conversation as we enter the election season in this extraordinarily diverse cultural, political and social climate. We have never been more passionate about our mission to serve our Indian customers and to protect and enhance the national conversation.